What is it: A tear in one of the hamstring muscles on the back of the thigh. It is one of the common sports injuries. 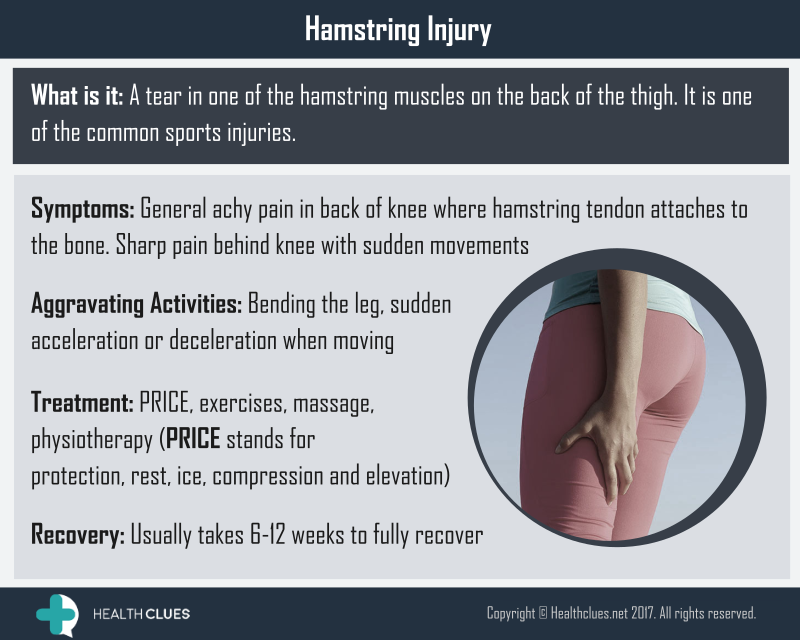 Infographics, Sprains and Strains hamstring injury, hamstring muscles, pain, sports injury. permalink.